AN AMULETIC SILVER SPOON. Probably Iran, 20th century. The handle is decorated in the form of a fish. 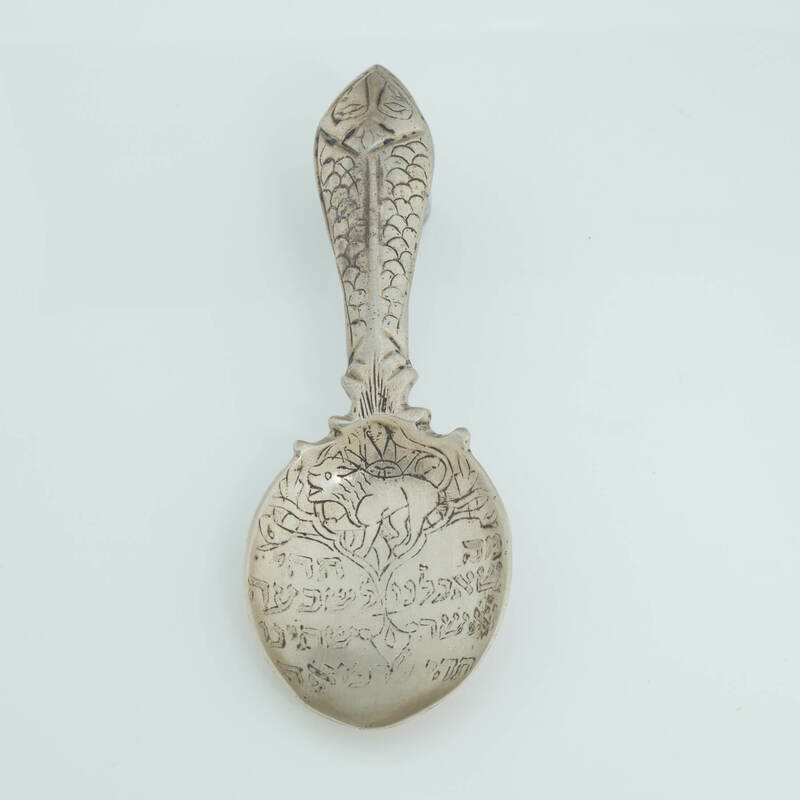 The spoon section is engraved in Hebrew “MAY WHAT WE EAT AND DRINK BE TO OUR SATISFACTION AND HAVE MEDICINAL EFFECTS”. Formerly in the collection of Asea and Jacobo Furman. Published: TREASURES OF JEWISH ART, page 228. 5.1” long.